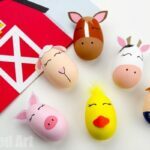 So… we had some wonderful Fairy Tales and Fairy Tale Crafts recently.. and I thought it would be fun to explore some Nursery Rhymes and crafts to go with them. 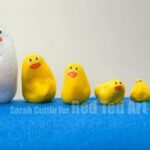 We already have a popular 5 Little Ducks Went Swimming One Day craft, as well as some little walnut mice, perfect for a Hickory Dickory Dock craft. 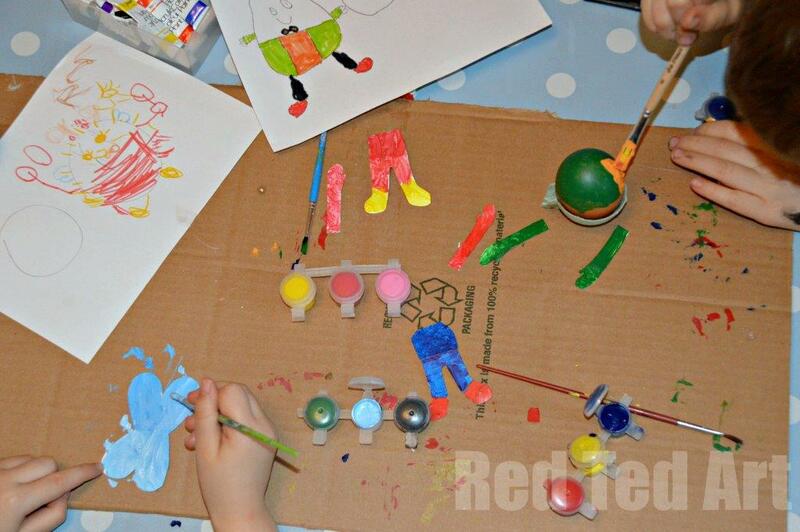 As Easter is now around the corner, we thought a Humpty Dumpty craft would be appropriate – a Humpty Dumpty REAL EGG craft! Yep. 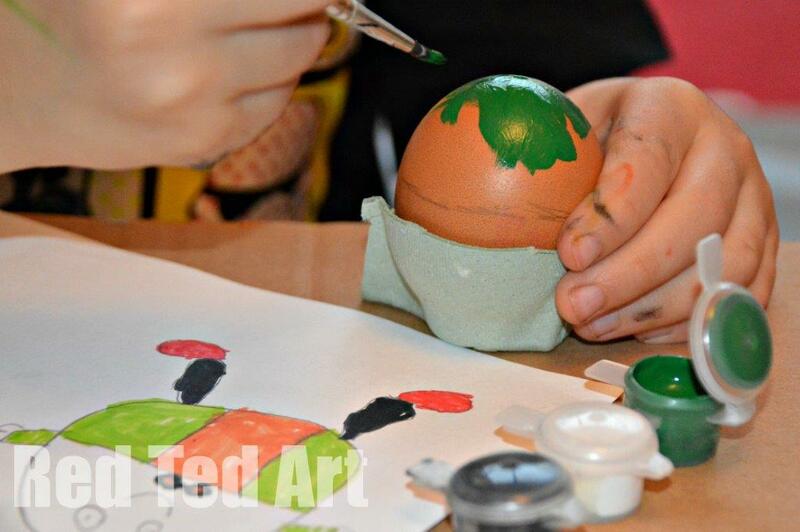 We take a real egg… blow it out and decorate it. Red Ted (6) blew out his very first egg for this and was so very proud. 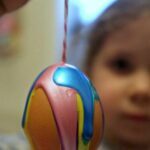 Using real eggs with children is a great way to teach them about handling things with care. 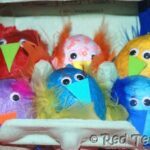 Yes, we have had a broken egg or two in the past, but we have survived those mini disasters and the kids now know, that we can “now just make a new one”. So I totally encourage it! 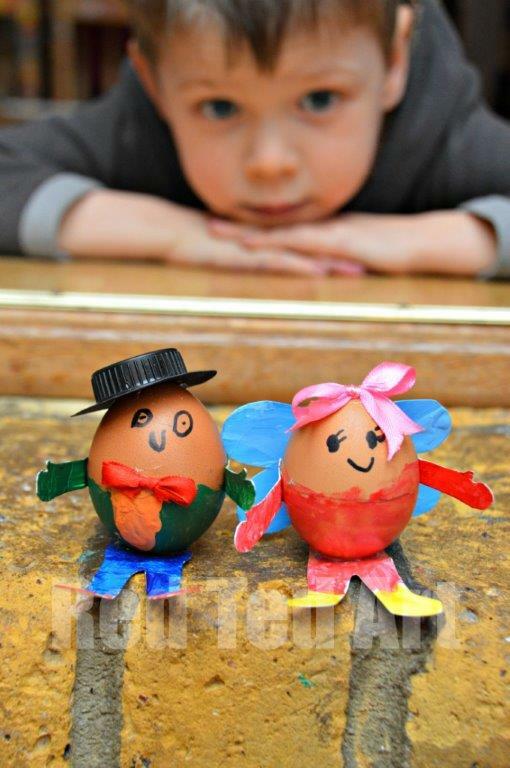 paints – we used ahem acrylics as our eggs are brown und other colours don’t show up so well. If you have white eggs (I am so jealous!) 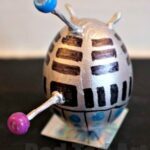 you can use PENS to colour your eggs! 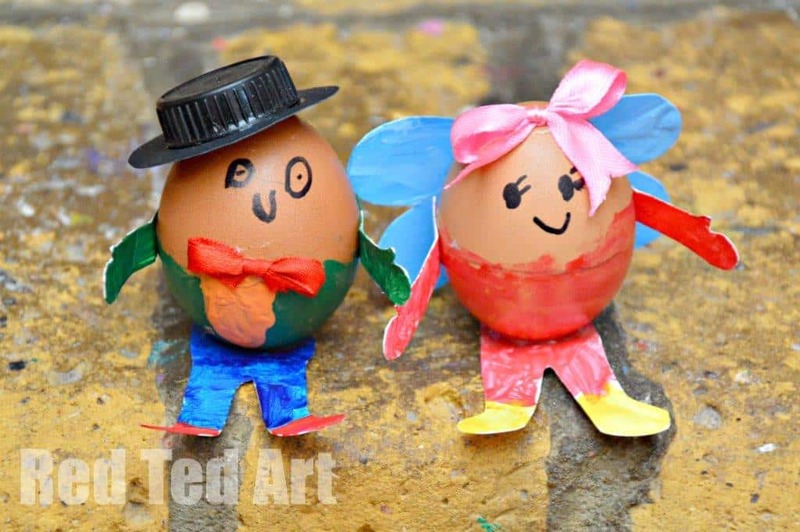 “bits and pieces” you can find for embellishments, we used card for arms and leggs, a bottle top for the hat and ribbons for bows..
1) First I got the kids to “design” their Humpty Dumpties. 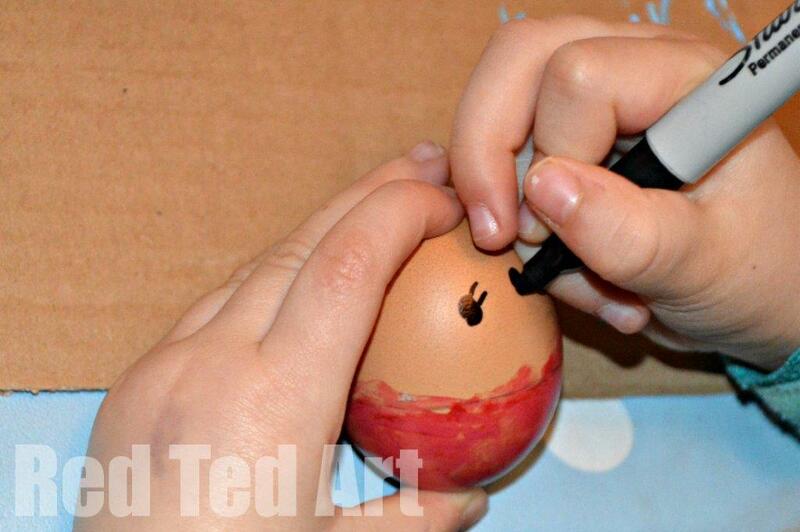 That took away a bit of the pressure of putting brush to egg. It meant they could have several versions I need be and something to “follow”. The kids loved this bit. 2) We cut some egg carton as a little “base” for the egg to sit in for painting. I drew a line for the kids, so they knew how far to paint. And the kids got to work on the Humpty Dumpty’s clothes. 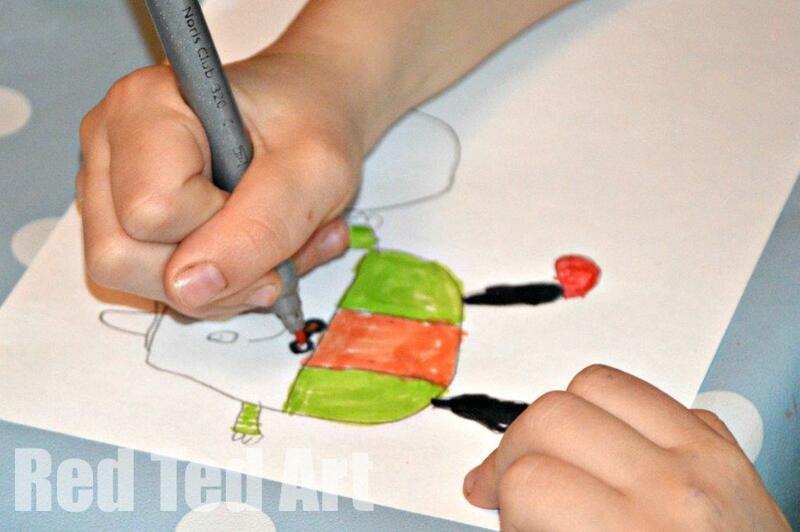 3) I then cut out some legs and arms out of card, which the kids also painted. 4) Once dry we add the eyes etc. Glued on the card and started rummaging around for details. We added little ribbon bows. And the boy Humpty Dumpty got a hat – made from a black bottle lid, with a black rim made of card (we rather love this hat). And done. The cardboard legs, means that the Humpty Dumpties can sit up without rolling around. Bonus. One of our Humpties has already had a fall… but luckily he didn’t fall to pieces. Phew. 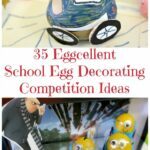 Clearly this Humpty Dumpty is also great for any Easter Egg decorating competition! 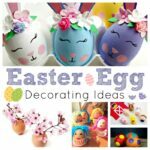 If you want more Egg Decorating Ideas take a look! 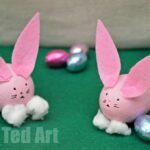 A great project for the kids this Easter!